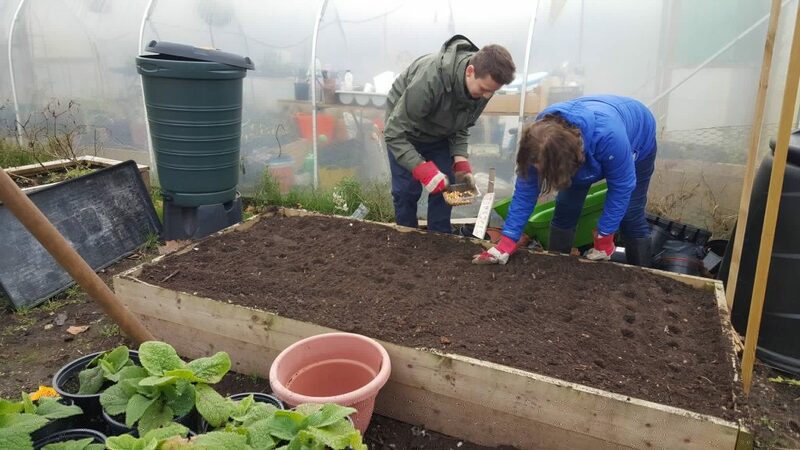 The following Saturday we were busy again, chitting potatoes, sowing parsley and basil in the polytunnel and lots of onions in the beds at the community garden on Windmill Drive. 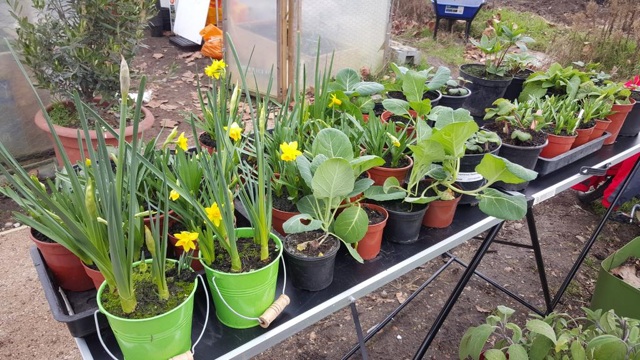 And it was fantastic to see to see our first daffodils had flowered in the polytunnel. In between times we held our AGM on Wednesday 15 February at the The Bread & Roses in Clapham. After going through the main business and electing our committee we discussed our plans for the year ahead. The main task for 2017 is to get the new part of our community garden on Windmill Drive up and running, and on Tuesday 21 February there was a major development in this direction. 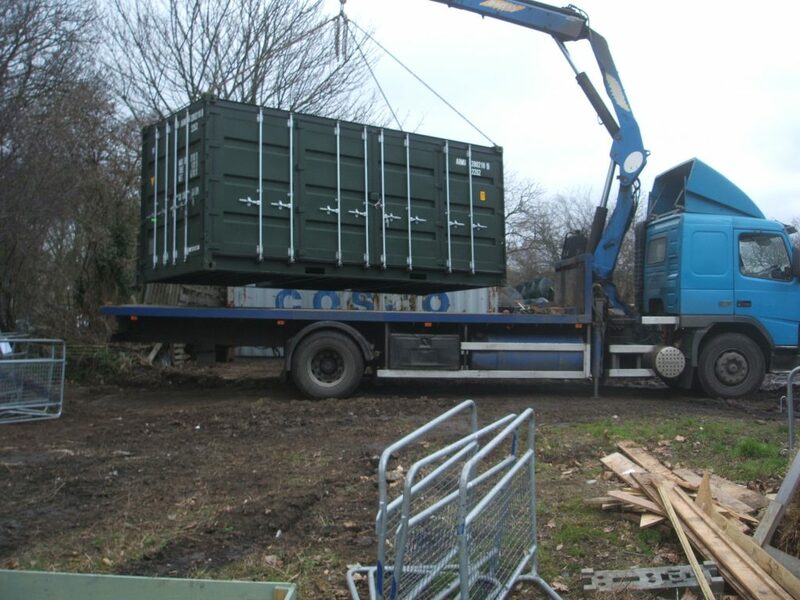 The new shipping container funded by This is Clapham and other donations finally arrived! Just when you thought it might never happen? 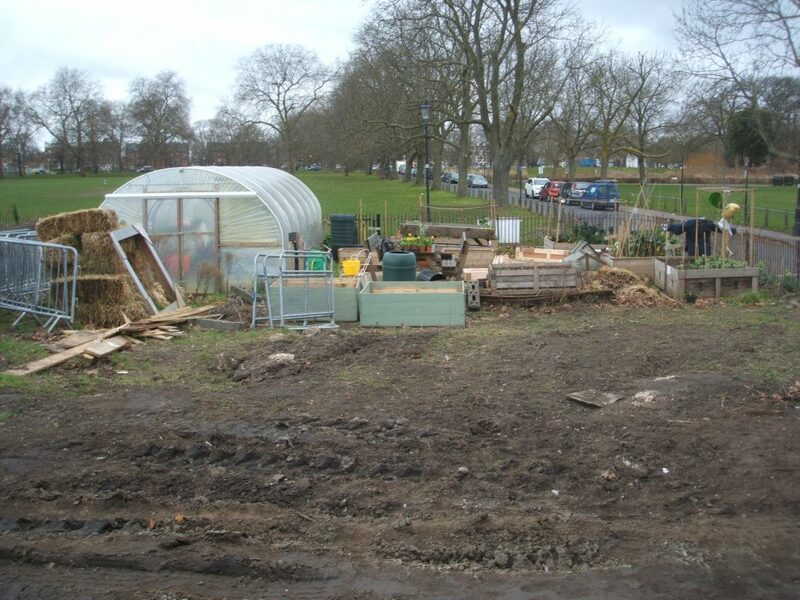 There was more good news this month when we heard that Tesco Bags of Help will be giving us £2000 towards our community food growing project. 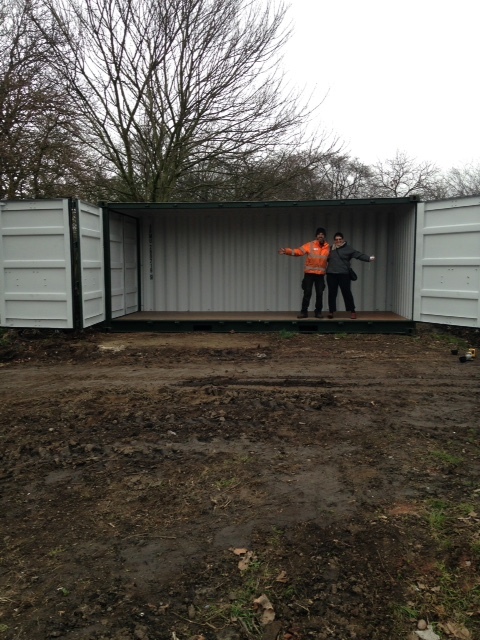 This money will be put towards kitting out the shipping container, equipment for the garden and workshops. 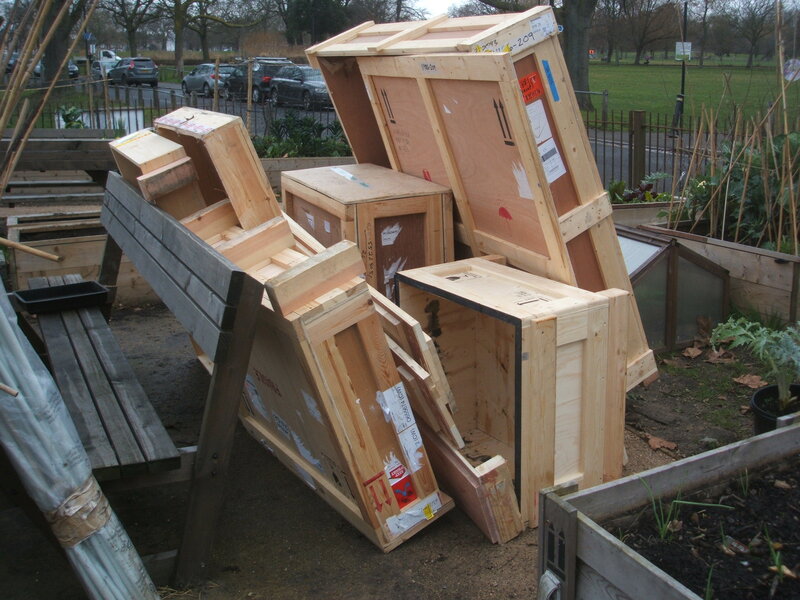 Added to this we’ve acquired some packing crates we can use as raised beds, delivered completely free by Martinspeed Recycling. A big thanks to them again! All we need now is some burly bods to come along and help clear more of the ground, lift the beds in place and fill them with soil. Is this something you could help with? 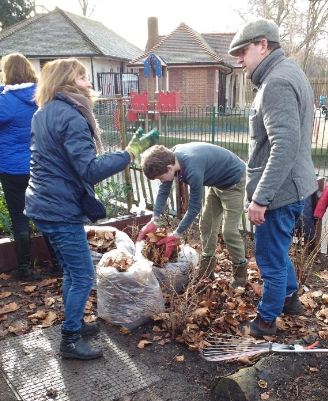 If so, then drop an email to ccbandstandbeds@gmail.com or call into the community garden on Windmill Drive, any Saturday between 10.30am and midday. 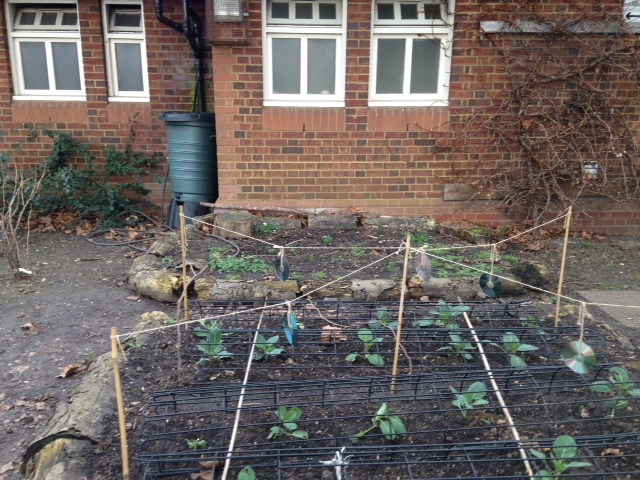 You don’t have to be green fingered to have fun in our garden. Come and see for yourself!